A program aimed at killing foxes and other predators to protect piping plovers in Duxbury, Massachusetts is causing some controversy. A program aimed at killing foxes and other predators to protect piping plovers on a Massachusetts beach is heading into its second year and dividing residents. According to the Patriot Ledger, more than 5,000 Duxbury residents have signed a petition to end the program which resulted in the killing of ten foxes and five coyotes last year in order to protect the endangered birds. "I don't think we should kill foxes because it’s the circle of life," said one young woman on the beach Thursday. Donovan Lee, a wildlife photographer, spends a lot of time at the beach watching and taking pictures of animals including foxes. "They're hunting for a mouse and rabbit and some time for the birds, too," Lee said. The hunter is now the hunted along Duxbury Beach because the federally protected piping plovers, have been returning to lay their eggs and raise their young. The Duxbury Beach Reservation manages the shoreline and is required by law to protect the birds. "There is a problem. Their habitat is being reduced by people and by climate so it's important to protect them," said Krissie Lynch, who grew up in Duxbury. Last year, 24 plover nests were destroyed, half of them by foxes. "If you're losing half your nests due to one predator then you start to look at that predator," said beach reservation Executive Director Cristin Luzzati. In recent years, about a dozen foxes have been killed at the beach to protect the small birds. Under the law, the plover's natural predators are eliminated because humans use the beach. If the beach were closed to the public, the risk to the birds would diminish and killing off those predators may not be necessary. "They are at higher risk. They do get run over and to kind of balance that out, it's, 'what's their biggest threat if the cars were here?' And that would be predators," said Luzzati. The beach reservation does have a cleanup scheduled for Saturday. 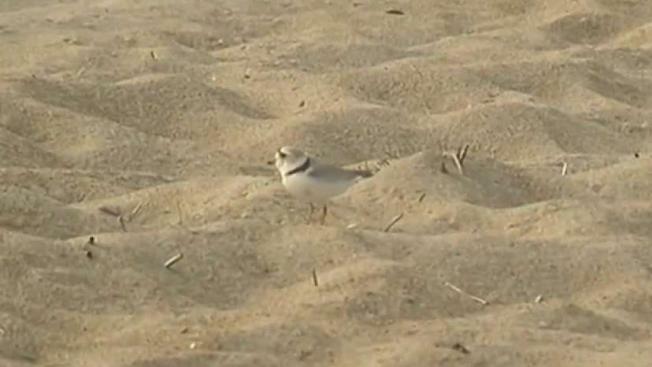 It's done twice a year and officials try to keep the plover's natural predators away.